Bushido: the Way of the Samurai, now in its final weeks at the National Gallery of Victoria (NGV), brings to life the centuries-old traditions of Japan’s samurai warriors. Although the samurai warriors were fierce fighters and lived a strict military life, they followed a strict code of honour called “the way of the warrior” (bushido), which has been passed down through the generations. If a samurai broke the bushido code, he was expected to perform seppuku, or ritual suicide. For this reason, every samurai carried two swords – a large one to fight his enemies and a small one to turn onto himself. 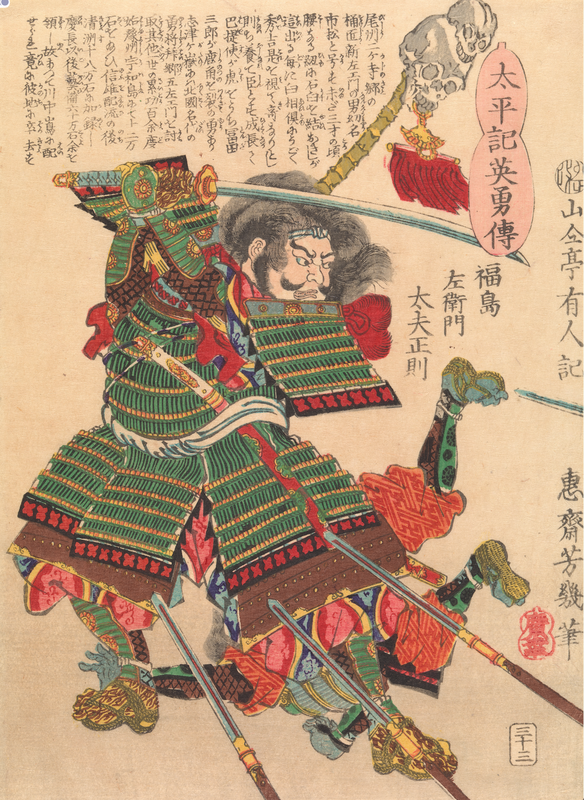 According to curator Wayne Crothers, the exhibition presents the unique contribution samurai warriors have made to Japan’s cultural heritage. Even in modern day Japan, people with samurai family names are still treated with great respect. “Samurai virtues of honesty, courage, benevolence, respect, self-sacrifice, self-control, duty and loyalty, combined with a cultivated lifestyle, established social stability and a legacy of art and culture in Japanese culture that continues to this day,” said Mr Crothers, a specialist in Japanese art history. 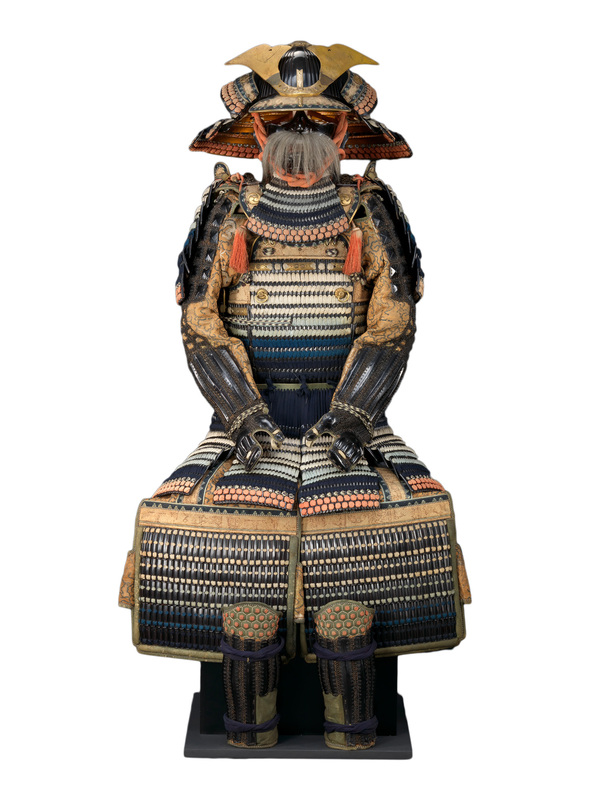 On entering the exhibition, visitors come face-to-face with a magnificent suit of samurai armour – a formidable design that would have stared down enemies as its sword-wielding wearer galloped to attack on horseback. In creating the exhibition, Mr Crothers said he wanted to create a dramatic scene at the entrance. “If you met a samurai in full dress, it would be quite a stunning moment…a sensational moment,” said Mr Crothers. The suit of armour, dating to the Edo period (1600-1868), was purchased by the NGV in 1889 and has never been displayed before. The exquisite suit, made of lacquer, leather, metal, silk, cotton, hemp, gold pigment and coloured dyes, is captivatingly framed by centuries-old screen paintings. Notably, the Edo period was a time when the warring clans settled into 250 years of peace. The samurai warriors thus focused their attention on the arts and theatre instead of fighting. Artistry became as effective as physical skill for maintaining the samurai lords’ power. In the exhibition, golden screen paintings feature hawks perched in a pine and in a plum tree. Falconry was one of the privileges bestowed upon the elite upper class of samurai. The hawk represented the samurai warrior’s patience, astute mind and highly developed hunting skills. In an audience with a samurai lord, a guest would be strategically seated lower than the lord with the screens positioned around him. The birds of prey would look down on the guest with the intent to make him feel vulnerable, like a small field mouse watched over by a hawk in a tree. Further inside the exhibition, more samurai artefacts are beautifully displayed: exquisitely embroidered silk kimonos, handcrafted helmets and decorated swords, leather saddles and horse attire, and magnificent folding screens depicting epic tales of war. These paintings on large screens decorated the samurai villas and castles, as well as those of the ruling lords, to emphasise their military prowess and positions of social power. Amazingly, there are also many original photographs of the warriors in battle dress. 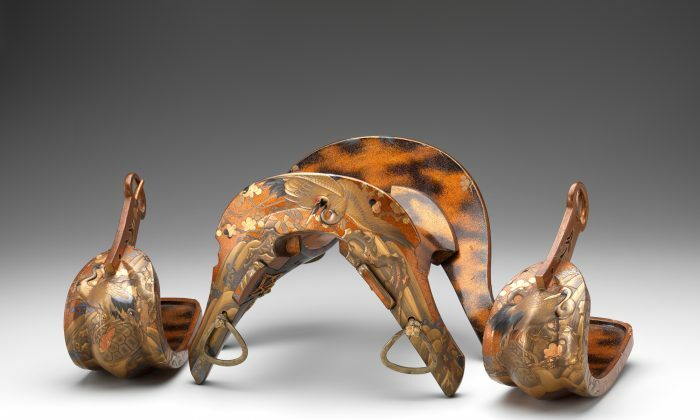 A full set of horse trappings dates back to 1889, with sets of lacquered saddles and stirrups. Inscriptions tell the history of the samurai and the importance of Zen Buddhism to their way of life. As part of their beliefs, samurai warriors pledged to show kindness to the poor and respect to the gods. Apart from presenting a fascinating aspect of Japanese culture, the exhibition is “a little bit of a time capsule”, not only telling the story of the samurai, but also showcasing the NGV’s collection, says Mr Crothers. Collecting Asian art at the NGV began with the pastoralists of the late 1880s, when the wool trade first opened up with Japan. Creating the exhibition was a process of discovering the collection’s hidden objects and tracing back how they had entered the collection. “These two suits of armour – one donated and the other acquired in 1888 – are some of the earliest Japanese objects to enter the Australian public collections,” Mr Crothers said. Three guns on display – including a matchlock hand cannon – were discovered tucked away in a crate in the NGV storage facility. Their origins had never been researched. In the exhibition alongside these acquisitions is a series of wood block prints of samurai using guns on the battlefield. It is apparent that the value of an exhibition of this nature is not only to enjoy the beauty and exquisite workmanship of the artefacts, but also to reflect on the enduring value of the samurai code. 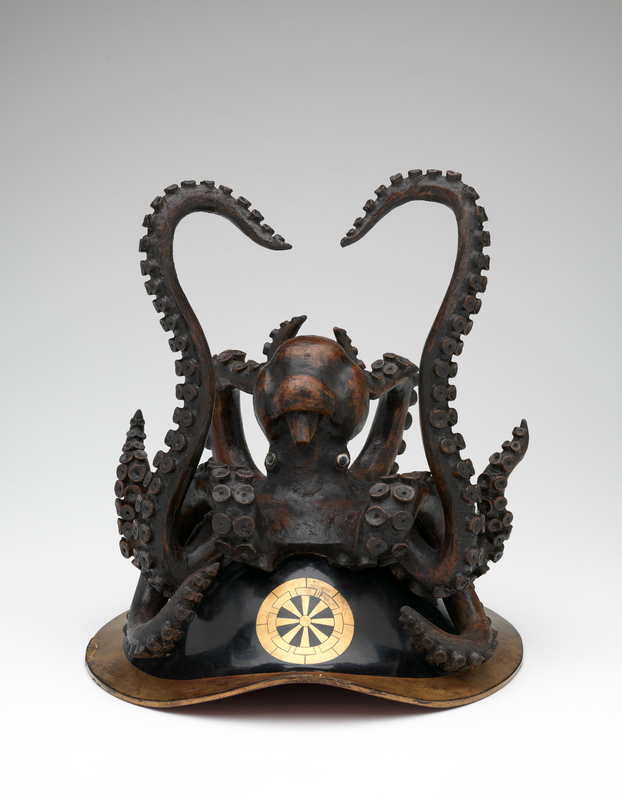 Bushido: the Way of the Samurai runs through Nov 4 at the National Gallery of Victoria.